There are many reasons why one would think the end of the smartwatch is upon us. With declining sales statistics and overall survival rate of 6 months, devices destined for our wrist are no longer looking like a bed of roses. The thing is, this year the Consumer Electronics Show 2017 (CES) has actually shown us that the category is growing. [inlinetweet prefix=”” tweeter=”” suffix=””]This could be because the options to personalize the technology we wear, from a superficial perspective, is becoming limitless. [/inlinetweet] Sometimes it feels like it is almost impossible to keep up with what is on offer. A company who might be responsible for this in the biggest way is Fossil. The Fossil Group is slowly but surely becoming a big boy on the wearable tech market. Since acquiring Misfit they have released over 140 wearables in 2016. 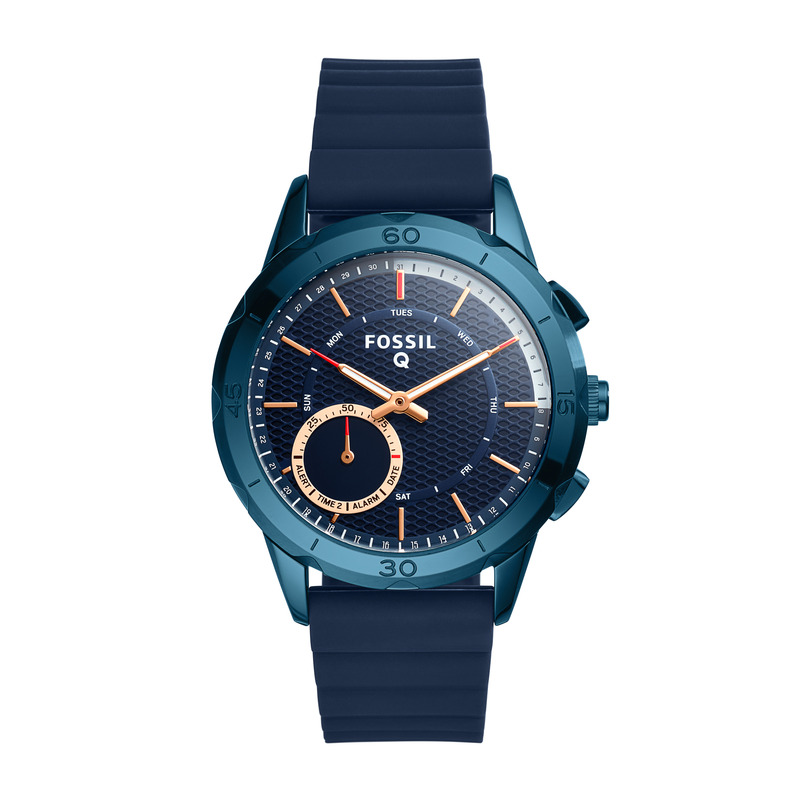 As get further into 2017, Fossil has promised to release over 300 (variations on core devices) different connected watches this year. Such commitment immediately implies an understanding of the fashion factors, personalization and customization, that’s often, according to many, missing in wearables. It is safe to say that their approach expresses confidence in the smartwatch space. The brand is licensed by, and houses a range of other companies like Emporio Armani, Kate Spade New York, Michael Kors and Diesel to name a few. At CES2017, Fossil announced three new types of wearables; touchscreen smartwatches powered by Android Wear™, Activity trackers and some hybrid smartwatches. They also announced that this spring they will release the new Q line hybrid watches. With the Q Accomplice, the company has made the slimmest and most female focused designed Fossil Q hybrid case to date. 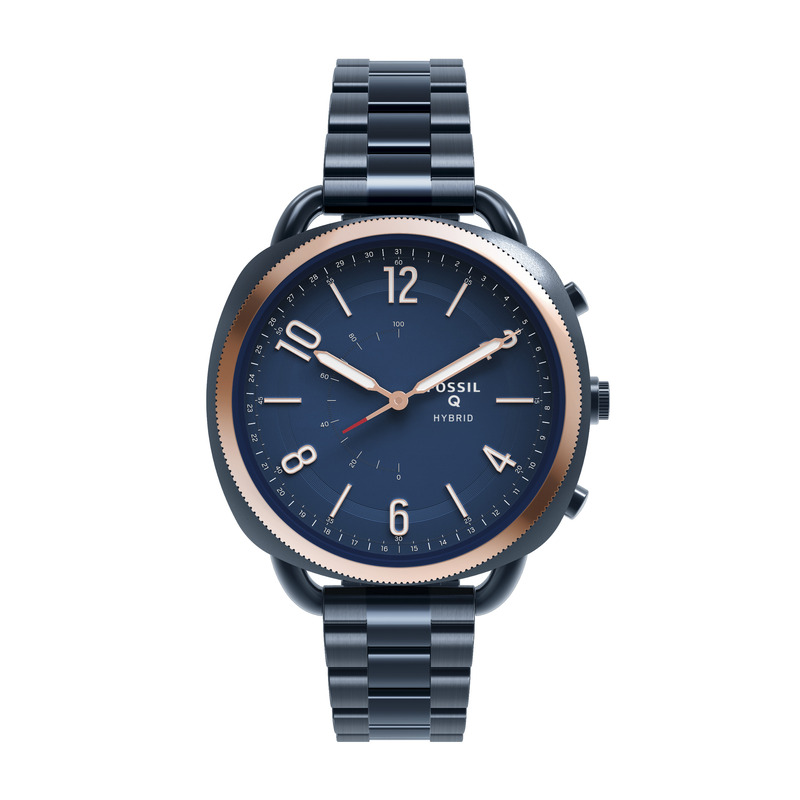 When it comes to design and key features, Fossil listened to its users and focused on fashion forward design. Its classic feel made it the company’s most functionally beautiful and elevated hybrid smartwatch yet. The watch features include fitness tracking, alarms, and controlling music, plus an app to set contacts to numbers on the watch face. The Modern Pursuit slightly differs in price range between $175-$225. With an obvious sporty look, makes this smart watch the perfect companion for the more active user. Designed with a silicon strap, this is a watch that also contains some classic elements. Bragging the same specs as the rest of the Q line, all the models come with a coin cell battery that will last you for 6 months. The range also has added connectivity and like the other Q’s it can be used to remotely take selfies. But What About Activity Tracking? The entire line of Fossil Q wearables is compatible with Android™ 4.4 and higher, iPhone 5 and above (running iOS 8.2 and higher), and connects via Bluetooth technology. All new styles will be available in stores in spring 2017 and retail from $175. Besides touchscreen smartwatches and hybrid smartwatches, Fossil has also released a wide color range of activity trackers.